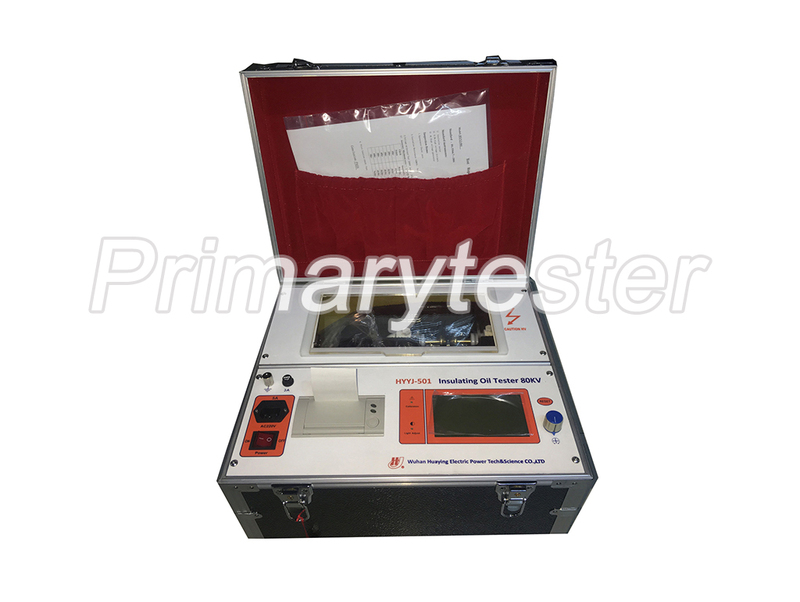 The insulating oil tester HYYJ-501 is developed according to the national standard GB-86 "Insulation oil dielectric strength measurement method". The test process and result is displayed in the LCD screen. The built-in EEPROM memory can save up to 100 sets of test data and results. The micro-printer can print the test results at any time. The tester is easy to operate, powerful, stable and reliable, and it has excellent anti-interference ability. No crash occurred during the test. 2. The test process is fully compliant with the requirements of IEC60156 and GB/T 507 standards. 3. All aspects of the test process can be set, and the test accuracy is high.